IJIR is dedicated to advancing knowledge and understanding of theory, research and practice in the field of intercultural relations, including, but not limited to, topics such as immigrant acculturation and integration; intergroup relations, and intercultural communication that have implications for social impact. The journal publishes quantitative and qualitative empirical research and reviews of research literature. Both full length papers and brief reports are published with high priority given to manuscripts that join theory and research with applications in the areas of education, health, social welfare and organizational and community development. 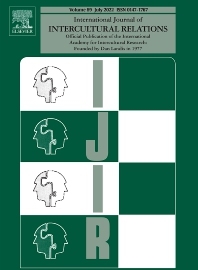 IJIR provides an interdisciplinary forum for scholars in fields of psychology, communication, education, management, sociology and related disciplines.